If you are viewing this page on a mobile device please click on the link at the bottom of the page that says, “View Full Site” to see the testimonials. Kristie is a wonderful resource for all homeschooling families. She is inspirational, creative, and holistic. Kristie provides many services and products for families that are useful, artistic, hands-on, and Waldorf-inspired. She is organized, has excellent communication with customers and she offers many options for homeschooling assistance. I look forward to purchasing from Kristie again in the near future! Thank you so much for what obviously is a lot of hard work and commitment on your part! So far I am really really impressed and only wish I would have found this earlier! We’ve been homeschooling for going on 10 years, using Oak Meadow curriculum when we want some guidance, and now that I’ve found Earthschooling I’m wishing I could go back in time and do it with my girls, too, who are now 16 and 13. I’m already glad I upgraded to the Lifetime Membership (Now known as the Family Package). The Kids Can Heal section is WONDERFUL! My oldest daughter, now 23, was educated at home, fully Waldorf-inspired. I spent many, many hours putting together materials and finding my way through the questions and techniques. Earthschooling has made homeschooling my 9-year old daughter sinfully simple. THANK YOU!! As one who unexpectedly began homeschooling mid school year, I knew we needed something different as my family has never really fit into a “box.” I was interested in a Waldorf education and at the same time I was overwhelmed trying to understand all the different elements unique to Waldorf—there is a lot of information out there and I spent a lot of time sifting through it all. I spent many nights staying up to prepare for the next days lesson. One night I discovered Earthschooling.com and the very next morning I was prepared to begin a well thought out day. It has been very comforting and helpful to discover Kristie’s holistic website. 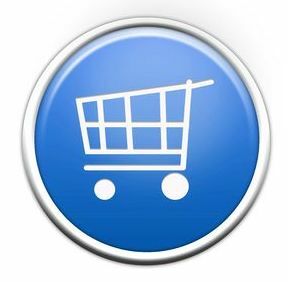 I have been extremely satisfied with the content of her site and her program fits into our lifestyle. The monthly lesson plans have given me everything I needed to get started and more! I am impressed by Kristie’s overall organization, quick and personal responses and her efficient handling of any technical issues. I still can’t believe the value for the money. Kristie also has the unique blend of cutting to the core of a problem, being candid and sincere. She has my highest regard. I highly recommend Kristie’s earthschooling program and website. Kristie is exceptional. 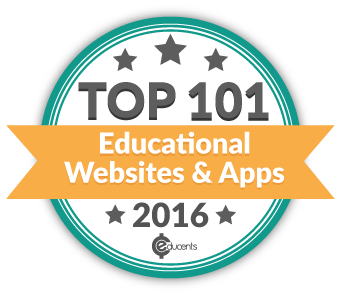 You have really shown that you are truly interested in educating your students. You make yourself available beyond what is necessary. Kristie has an exceptional eye for detail. Her work helping homeschooling parents is a valuable resource that crosses all schooling “types.” Her concise guides have helped my family progress in their homeschooling journey. Kristie’s work is amazing…a must have in any homeschooling library! I have begun to proceed thought the course, going slowly as I am finishing my internship for a master’s in TCM. I enjoy the information and find it valuable in my practice in my personal health. I am happy for the opportunity to share in the knowledge you’ve gathered, and thank you for your work. The information I’ve learned so far has already begun to benefit the lives of my patient’s and my family. I have hired Kristie a few times for myself, my sister and my mother regarding various ailments and problems including kidney stones, female problems and even traveling outside the US to undeveloped countries. Each time I received excellent service with a detailed explanation of how to use alternative remedies to prevent or heal. I have used her suggestions for diet changes and herbs to use and have not had any problems but a lot of success. If you are interested in naturopathic and alternative medicine, I highly recommend consulting with Kristie Burns. I am homeschooling my choleric son. Reading the chapter about phlegmatic adults and the choleric child has really given me insight into our relationship. I understand where my son is coming from more clearly which is giving me more patience with his silliness when teaching. I can see that he is just trying to connect with me. I am also using the insights into his temperament to make our lessons more interesting for him and hold his attention. Thank you Kristie! Kristie is a wonderfully warm and creative healer and teacher. She continues to teach and amaze me with the products and services she creates. Kristie is diligent and provides great customer service. I just wanted to send a little note to let you know how impressed I am with what I have seen of the program. I have only begun to skim the surface and have MUCH to do before our four children begin using most of the materials/ideas in September but so far I am very impressed. I waited 6 months to make this purchase, as I was worried about the expense. I should have ordered it six months ago! 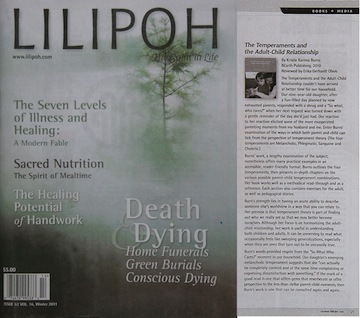 Our book, The Temperaments and the Adult-Child Relationship received a wonderful review from Lilipoh Magazine this month. You can read it by clicking on the photo. Even though Kendra has chosen to do public high school for the next 3 years… ( wanting a state issued diploma) I am still a huge proponent of BEarth, and will be using the curriculum for many years with our adopted child, coming up age 3. Also, considering a couple of years of having a playgarten type setting at home for him, and have other children attending a part-time program. I look forward to all the new info, as it comes along, and would be happy to be a contributor, at some point in the future, as I go through my sons educational process in the years to come. The materials you put together for your members are valued greatly! I consider this a must have book for every family! Understanding the four temperaments and how we relate to one another is enlightening and guaranteed to bring much needed peace and understanding into our families and as a result, into the world in which we live. “The Temperaments and the Adult-Child Relationship” is a culmination of over 16 years of in depth study and evaluation of this ancient practice. Kristie Burns brings it with a modern sensibility, making it a very enjoyable read from which one comes away with enlightenment and lots of those ‘a-ha!’ moments. Reading the section on Sanguine children was so helpful in allowing me to understand how my sanguine child thinks, moves, feels, processes, and exists. I kept nudging my husband to read him parts of it which were like a blueprint of my daughter. Now I recognize why she reacts as she does and am able to make adjustments that bring expansion to her soul and to mine. Being able to understand in advance how someone might react is a very powerful tool in life. And what is more important than the relationships with our children. Whether you are a parent, educator, homeschooler, or after care giver, you will appreciate the wealth of knowledge and enlightenment which comes from this wonderful book! This book is GREAT ! It is filled with useful and precious information, great explanations, real life examples and stories. All this to help us better understand each other and the depth of our unity. It is a treasure ! I love it and I highly recommend it to everyone !